When you were growing up as a kid..
was there ever a multitude of activities you and your friends loved to do? Depending on what era you grew up in, the varying choices can range from Baseball on the field, to trading Pokemon cards with your friends. However, as technology begins to dominate our culture, the world has observed a large decrease in fitness, causing many kids and adults to fall sluggish to the mere mentioning of the word “exercise”. 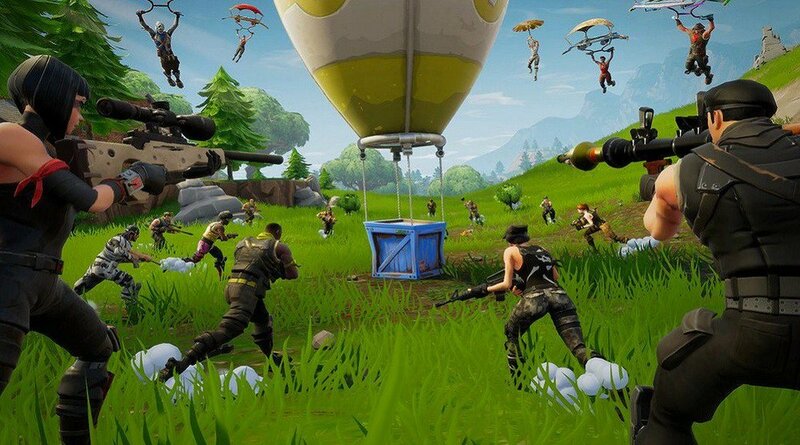 The vast majority of children of this generation commonly play iPhone Apps, Fortnite, and other inactive games that don’t physically challenge them. 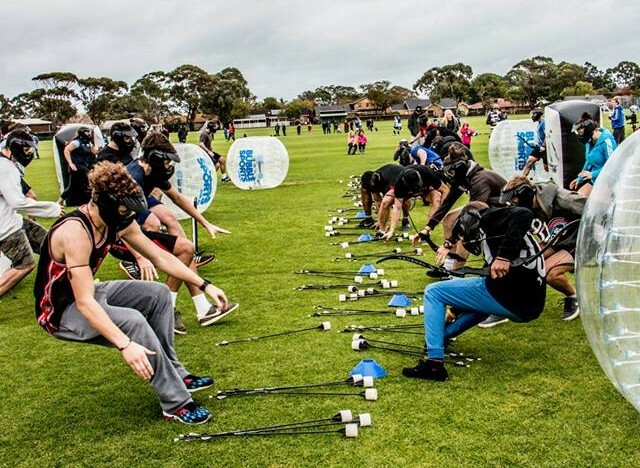 While these games help build strategizing skills in the youth, they’re unknowingly sacrificing their ability and strength. Statistically, it’s likely that if you were born before 2001, you would occasionally participate in more outdoor activities (WITHOUT your parents forcing you to) throughout your early childhood. Examples of these pastimes include basketball, skateboarding, and pretty much any fun exercise that makes you sweat. For my friends and me, that activity was having a Nerf War. My friends and I always loved to collect and shoot our several Nerf Guns. We often would have too many guns than we knew what to do with; furthermore, some were too old to stand the test of time. Therefore, for my close friend’s 10th birthday, we invited everyone we knew to come to a Nerf Gun Party. We planned to have one last extravaganza of Nerf battles to celebrate my friend’s passage into double digits. All our parents rented some Nerf Gun party supplies that dwarfed our collections with guns that we hadn’t even seen before! When the Nerf War started, some of us weren’t used to such new Nerf Guns and immediately struggled to start our games. Luckily we had plenty of friends who knew more about those models, so much so that they would try to rig the competition by purposely assigning the less intriguing guns to their opposing teams. Some of us were taking the game so seriously, making strategies and trying to form squads, which I may or may not have been guilty of. To sum up the experience of the intense battlefield, the Nerf War Party was a smashing success. We had a blast. I would even argue that it became a staple of my childhood, because whenever I’m reminded of Nerf Guns, my mind immediately jumps to the war-stricken backyard of my friend’s house littered with Nerf Darts. I always thanked his mother days after the Nerf Party for letting us use their yard. Plus, getting our them to soften up and purchase the Nerf Gun Party Rentals was a grand idea, because while our older guns were okay, the ones that they brought were ten times as grand. The rental guns were new, clean, and almost never jammed; unlike the ones we had left lying around for so long. The best thing was that these rental guns shot very far in comparison to ours, allowing long-range combat that let us utilize our entire backyard. The Battlefield they made for our Nerf Gun Party also made our Nerf War experience as real as an actual war with all the hiding behind bunkers, shooting, advancing, and strategizing to get to the opponent's side without being hit. Since we were so enthralled in our battles, all the kids and the parents ended up losing track of time and having to pay extra for more hours. Having seen the aftermath of our Nerf War, I’m sure both the parents and I agreed that this Nerf Gun Party was well worth the money. My mom prides herself to this day, having made all our childhoods so special with special events like this one, and she has every right to do so. In my opinion, she’s earned her parent of the year award for the monetary sacrifices she made to see us have some fun, which is a priceless opportunity that not only builds physical endurance, but also builds character. Even small events like a Nerf Party can unlock a child’s planning and athletic skills. However, not everyone will love a Nerf Gun Party because frankily it's not for everyone. In most cases, a child will be interested in an activity that you may not see the fun in, but despite the conflicting views, a parent should always pour effort and heart into making their kid happy to learn new things about themselves, and most of all, have fun while maintaining their kid’s athletic attitude. If your kid is a fan of Nerf Guns and have been begging you for a Nerf Gun Party, we'll just throw in that AirballingLA hosts the best Nerf Gun Parties in Southern California. 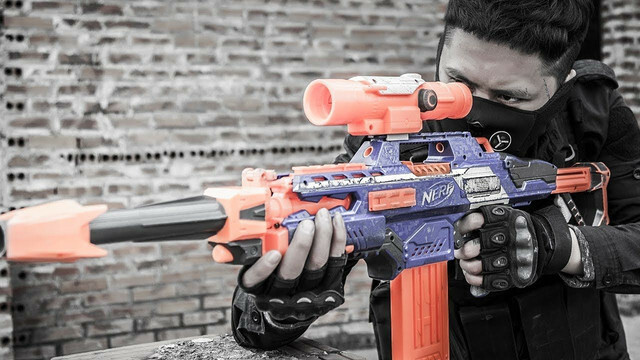 We update our guns to make sure we have a variety of models of Nerf Guns because different Guns provide novelty and therefore, keep them engaged even when they're engaging in the same activity, in this case, chasing their friends with Nerf Guns. We've learned that a creative Nerf Battlefield means longer retention of attention span. So to keep kids engaged through the entire Nerf Gun Party, we're constantly introducing new barriers to see if they work and throwing out ones that don't to create the BEST Nerf Battlefield with tons of different barriers that make kids say, "WHOA, that's for my Nerf Gun Party?" We constantly refine our games to make it easy and simple for kids to play. Games with simple rules are compatible with a kid's attention span and therefore gets them to easily understand how to play our Nerf Games, which gets them engaged. Also, we believe in the importance of novelty especially for a Kid's party. So, we're working hard to create new Nerf Games and currently have an arsenal of 7 different games.